Group Buy (gauging interest): Spec Miata Brackets for Hard Top - Miata Turbo Forum - Boost cars, acquire cats. 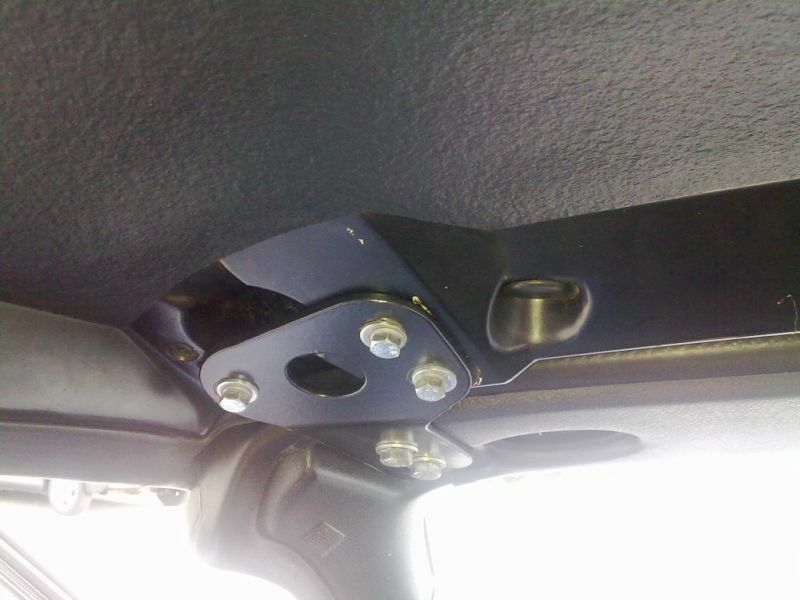 Gauging interest for a group buy for Spec Miata brackets for hard top. Everything will be shipped to me and I'll ship the stuff out to save us a couple of dollars. I'm guessing ~$7 for shipping. I'll be doing this for security reasons, after Hustler got his HT stolen. Then I'll use some weird shaped bolts to keep it intact. Supposedly it stiffens the chassis quite a bit too. GP price (front and sides powdercoated w/ no hardware): ~$47 shipped. GP price (just sides powdercoated w/ no hardware): ~$27 shipped. Price obviously will increase accordingly if hardware is needed. Look below. Last edited by kenzo42; 08-06-2009 at 04:21 PM. Just a note: I've had these for ages and to properly align _my_ hardtop with the top of the windshield I had to bring out some washer stacks. Otherwise the hard top was above the top of the windshield and would make all sorts of noises while driving. Other than that, great product. Their tow hooks are great too. I have their tow hooks. Cheap, nicely powder coated and I could not be happier with them. If I had a hardtop, I would be in this like white on rice. Just got mine from this guy and there good quality. 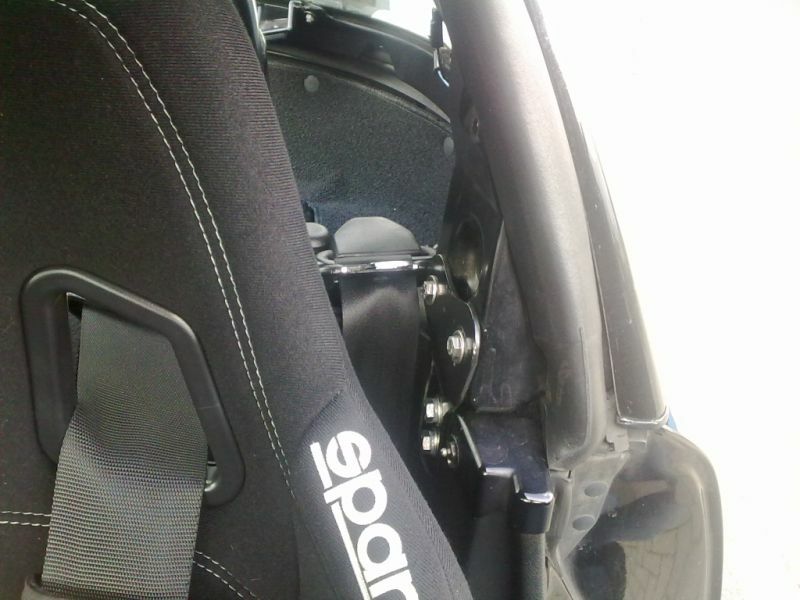 No washers needed for spec miatas with no plastic interior panels. They are designed primarily for racing cars. Many guys are running them on the street, but I have found the only guys that need any spacers are those whose tops have sprung out on the bottoms due to storing the top improperly on the ground when not on the car. I had a Snugtop. Different mounting holes......just sell the top. They do stiffen up my car quite a bit, and it does make it harder for thieves to take the hardtop. I'm looking for other types of bolts to use to make it even more difficult for thieves. 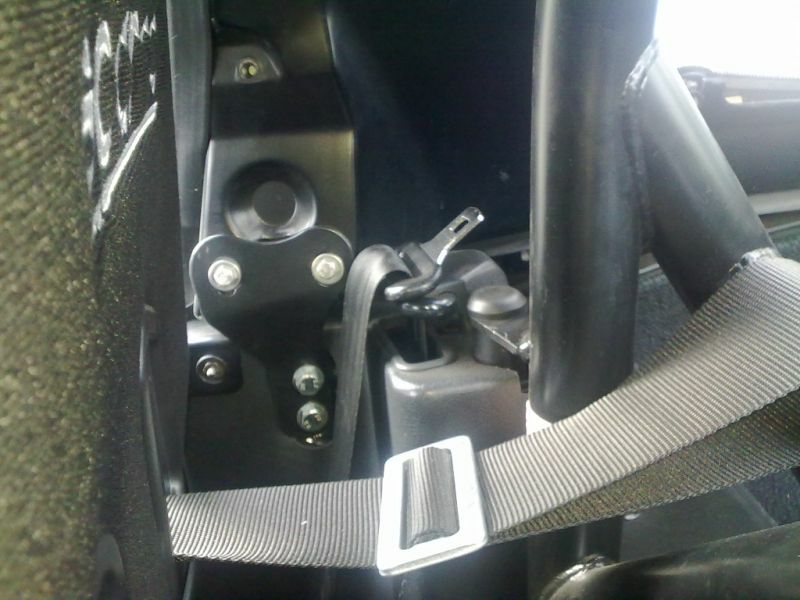 1) Did you notice any chassis stiffening w/ these spec miata brackets? No chassis stiffening, but i have the frame rails to do that. The hard top however is on tight and doesn't rumble anymore. That is, once I tightened the brackets correctly (laying on the roof while having a friend tighten them) and using washers to align the roof properly. 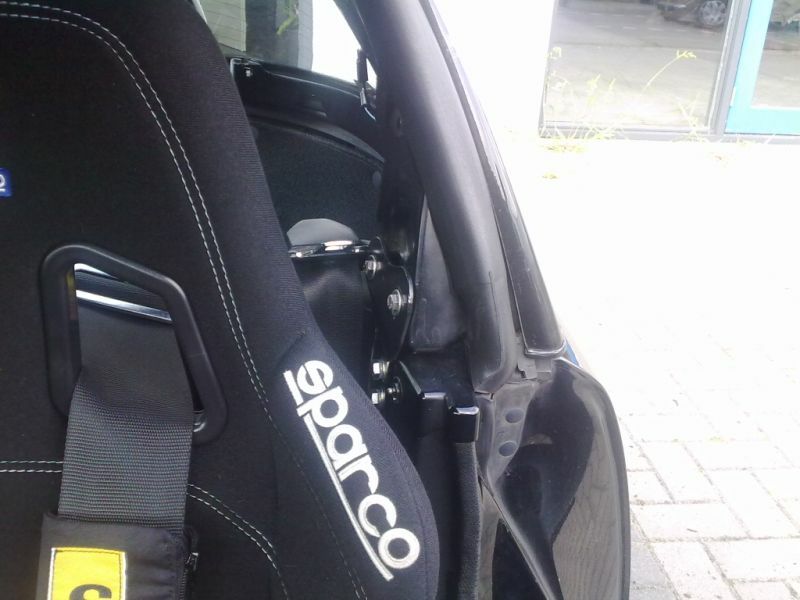 2) Did you install the side brackets w/ the interior panels still present? Or is it stripped? With panels present. May need some washers otherwise. I'll snap some pics of them installed. I want the tow hooks. Make it happen. how to i purchase at GB prices? Dammit. After I have already bought everything that you sell for Miata, including the crank holding fixture, you start having group buy here~! /\ Yes that. I want a set. Also, would these fit an nb? I seen no reason for them not to, but wanna make sure.